Roughly 35 million Americans provide some type of unpaid care to adults 50 or older. Whether you care for an older family member or are a paid healthcare professional, it’s safe to assume you’ve likely experienced spine-related aches and pains at one time or another. Part of the reason for this is due to the stress placed on certain structures and muscle groups when helping someone with physical limitations. Fortunately, there are some ways you may be able to prevent back injuries if you’re a caregiver. Make some time to get regular exercise when you’re not acting as a caregiver. The purpose of exercising is to ease the burden on your backbone by keeping your spine-supporting core muscles strong. From low-impact aerobic workouts to swimming and cycling, there are many forms of exercise that target these muscles. 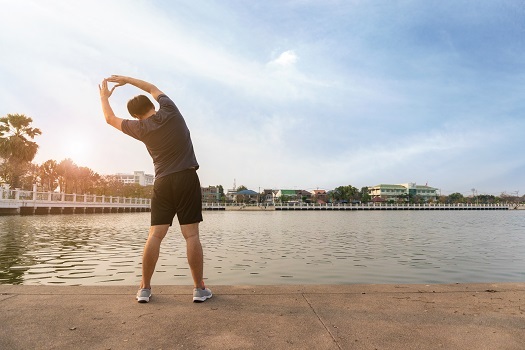 If you have some limitations yourself with certain exercises, consider water-based exercises or controlled-movement disciplines such as yoga to target the core muscle groups in a gentler way. All it takes is one moment of excessive stress or a slip or fall to seriously injure your back and end up needing specialized treatment, such as coflex back surgery. Los Angeles caregivers need to be aware of their limits when providing care for someone. For instance, if the people they’re caring for need a lot of assistance with the bathing process or getting out of bed, they should get some help from another family member or a coworker. You’re not going to be doing yourself or the person you care for any favors if you’re not mindful of your own health, which is why it’s important to see your doctor or a Los Angeles spine surgeon sooner rather than later if you start to notice signs of a back injury or worsening symptoms from an existing spine condition. If you’re experiencing back pain as a result of caregiving or any other cause, reach out to the back health specialists at The Spine Institute. Our physicians are industry leaders when it comes to diagnosing and treating neck and back pain. Call one of our friendly representatives today at 310-828-7757 to schedule a consultation.